Malcolm A. Hatcher, age 74, of Indianapolis, IN, died Friday, December 28, 2018 at his home. Born September 6, 1944 in Bath, NY, he was the son of the late Erwin Malcolm Matcher and Daisy Mae Dyer Hatcher. Mr. Hatcher served time in the US Army, stationed in Germany. 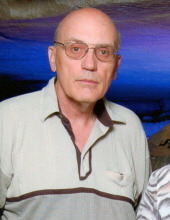 He was employed as a clerk with the Rochester Post Office, retiring in 2007. He enjoyed traveling with his friend and later with his sister, Shirley. Surviving are brother, Leslie Hatcher and wife Nona; sisters, Shirley Stonesifer and husband John, Lois Virts and Ruth Hatcher; and numerous nieces and nephews. A funeral service will be held at Hartzler Funeral Home, 404 S. Main St., Woodsboro on Friday, January 4, 2019 at 11 a.m., with a visitation from 10 to 11 a.m. Deacon Charles Barnhart will officiate. Interment will follow in Union Cemetery, Keysville. To send flowers or a remembrance gift to the family of Malcolm A. Hatcher, please visit our Tribute Store. "Email Address" would like to share the life celebration of Malcolm A. Hatcher. Click on the "link" to go to share a favorite memory or leave a condolence message for the family.